UK’s largest plastic pipe systems manufacturer, German technology provider for industrial washing, drying, cooling, screening and sorting, and USA-based world market leader in residential water softeners among top companies exhibiting at The Big 5 Saudi for the first time this year. Never before has The Big 5 Saudi attracted international construction companies from so many different countries like this year. The economic diversification promoted by the Saudi Vision 2030 is spurring a new wave of projects, which span from smart cities to hospitality infrastructure, from housing to entertainment facilities and parks. As these call for a wide range of new building solutions and equipment, international manufacturers respond by bringing their most innovative products to the Kingdom. The 9th edition of The Big 5 Saudi, the leading event for the construction industry in Saudi Arabia that is returning to the Jeddah Centre for Forums & Events from 10 – 13 March, in fact, will feature for the first time the official country pavilion from Egypt, alongside China, Germany, Greece, India, Italy, Korea, Spain, and Turkey and among many others. It’s not just the number of new participating countries that it’s striking: several world leading manufacturers of construction products will also be exhibiting at the show for the first time ever next week. From the USA, EcoWater Systems, a Marmon Water company and part of Berkshire Hathaway led by Warren Buffett, has chosen The Big 5 Saudi 2019 to launch their top level water treatment product range on the GCC market. “EcoWater Systems is a global organization with over 90 years of expertise and over 3,000 dealers across the world, and invests millions of dollars in research and development every year. We see great potential for our products in Saudi Arabia; it is a very interesting market to us. Polypipe, UK’s largest plastic pipe systems manufacturer, with an unrivalled portfolio of above ground and below ground drainage, storm/surface water management and plumbing systems, will also join the exhibition. “Having a special focus on tall buildings in the Middle East, we have been specified on numerous high-profile high rise projects in the region with our sustainable climate and water management solutions,” says Philip McCowen, General Manager of Polypipe Middle East. “This year we made a decision to take the opportunity and participate in The Big 5 Saudi for the first time. 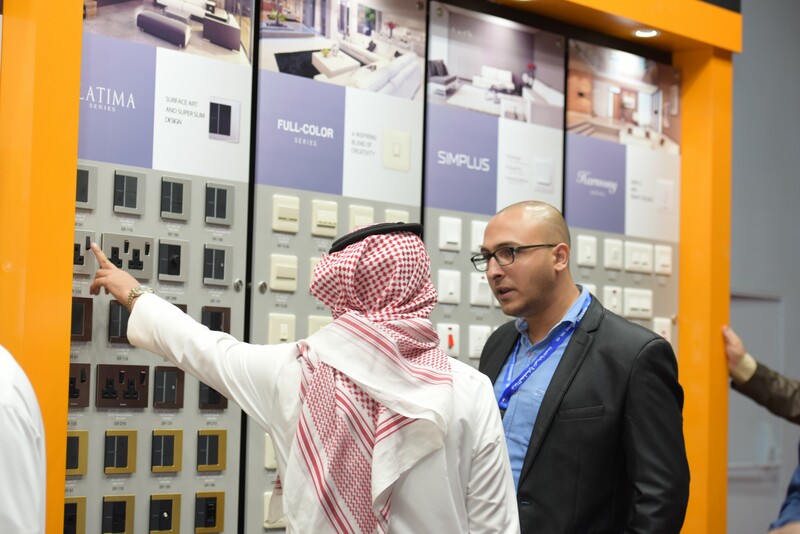 We believe that now is the right time for us to enter the market in Saudi Arabia and The Big 5 show in Jeddah presents us with an opportunity to meet potential new partners,” McCowen explains. More than 100 top Saudi construction players will also exhibit at The Big 5 Saudi 2019. An ideal platform for construction industry professionals to network, secure qualified leads and close business deals in the largest and most populous GCC country, the exhibition is expected to attract 14,000+ visitors, hosting over 300 manufacturers of construction products from around the world. Alongside the exhibition, The Big 5 Saudi 2019 will also offer more than 80 CPD (Continuing Professional Development) certified and free to attend workshops, a 48% increase year on year, all dedicated to “Educating and empowering construction professionals to achieve Saudi Vision 2030”. The impressive lineup of speakers includes high profile personalities like the Vice President Arabian Gulf of Virgin Hyperloop One, Colin Rhys, Bentley Systems’ Digital Advancement Academy Manager, Craig Garrett, and the Strategic Planning & Engineering Director at Saudi Customs, Abdurahman Medallah, among many others. Moreover, on March 10, The Big 5 Saudi will host the first workshop session in partnership with IEEE and the Saudi Council of Engineers. Focusing on “Creativity in the work environment”, the workshop will be presented by Hafidh S. AlSamarrai, President of the Global Business Development and Growth Inc. and Chair of the IEEE Computer Society Chapter. Participants will learn how to hone their innovation and creativity, and create strategies for the development of personal and institutional creativity. Organised by dmg events, The Big 5 Saudi 2019 is sponsored by Al Fouzan Trading & General Construction Co. (Gold Sponsor), Al Salem Johnson Controls and York (Registration Sponsor), GASCO (Official Sponsor), BIM Object (Official Show Guide Sponsor), and supported by the Saudi Standards, Metrology and Quality Organization (SASO), the Saudi Building Code National Committee (SBCNC), the GCC Standardization Organization (GSO), Saudi Council of Engineers (SCE) and the Jeddah Chamber of Commerce.